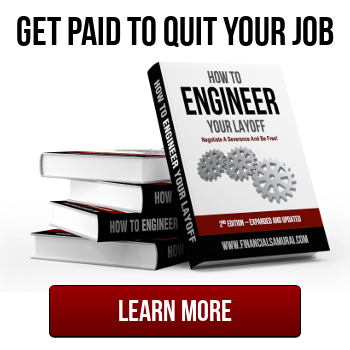 When it comes to any type of work, there will inevitably come a time when you get burnt out. This is especially true with blogging. The first year I started blogging, I felt invincible. I had endless energy and worked around the clock. When I wasn’t at my day job, I was glued to my laptop doing something blogging related. Fast forward to 2017 and my life as a blogger was turned upside down – I had a baby! 🙂 When I wasn’t busy with childcare, I was trying to get caught up on sleep. Now that my son is getting more independent, we’re both sleeping a lot better. And now that we have somewhat regular help from babysitters I’ve been able to start getting back into the swing of things with work and writing. I’m still not as fast at publishing as I’d like to be, but I’ve been working on several different blogging related projects outside of Untemplater about 6-7 days a week. Anyway, if you’re a fellow blogger running out of steam, I know how it feels! I hope this post will help you cope with blogging burnout and keep on going. Who Suffers From Blogging Burnout? Blogging burn out is pretty much inevitable. 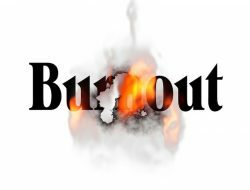 Blog long enough and even the best of us will experience burnout. Life gets hectic, or perhaps you get sick, lazy, bored, exhausted, angry at rude readers, you name it. However, I’ve noticed that those who lash out the most online are often the one’s who are the most tired. They don’t want to write more content to keep things going. They let the summer months of slower traffic get them down. They see other bloggers create products and call them a sell-out. It’s much easier to discredit others than work harder to create more progress of your own. I love blogging because of the tight correlation with effort and reward compared to what happens at a desk job. So many of us are addicted to blogging when we first start because we experience immediate feedback. When we see new comments on our post we get excited. When we see our site ranking improve and page views climb we do a mental victory lap and keep on going. I firmly believe that anybody who sticks with blogging for at least six months will highly likely reach the one year mark and beyond. So why do some hit a hump? One reason is that consistently producing content is difficult. We’ve often got day jobs, families, and other commitments. But I suspect another big reason is because we see others who’ve started at the same time achieve way more success than us! Everything is not only relative in finance, it’s relative online as well. I’ve been a blogger for eight years now so I’ve watched many blogging life cycles of friends and acquaintances that always start with excitement, to realization, to apathy, to sometimes anger, to disappearance altogether. Only a minority really keep on going. So what are the common complaints from apathetic or angry bloggers about other bloggers? * They “sell-out.” There are discussions on whether blogging is a form of charity. Given all of us spend way more time on our site than our market hourly wage, I do not understand for one bit why there is something wrong with selling a product you’ve created, highlighting an affiliate whose product you use, or writing reviews on products that might be beneficial to your users. This complaint always comes from a blogger who makes little or nothing online. You know they’d love to, but they don’t have the skills to sell or the fortitude to create their own product yet. It’s easier to just complain about bloggers violating “the true essence” of blogging rather than figure out a great win-win scenario. * They aren’t doing what they are saying. If you are a frugal blogger, you better not be buying an item of clothing other than at Walmart. If you are an early retirement blogger, you better not lift one finger on something that may generate you income. If you are an entrepreneurial blogger, you better not take on a side job to help make ends meet. The list goes on and on where those who are unhappy with their progress feel a need to box others into a strictly defined space. The fact of the matter is that life is an evolution. Each day is but a snapshot in time. * They don’t have the credentials. Most bloggers who have this complaint are older, more educated, or think they are much smarter than the average person. When they see someone talk about how to become a millionaire without being a millionaire themselves it pisses them off. We’ve had a great discussion on Yakezie.com about writing and saying things we have no idea about. Given there’s no blogging certification online, we can all say whatever we want. It’s up to consumers to parcel through the smoke and mirrors. The solution we’ve come up with is to just be upfront with our situation and offering up the role of the pontificator. But for those complaining about other people’s lack of credentials, go ahead and write your own highly credentialed post if you’re so worthy! * They blog about blogging to make money. 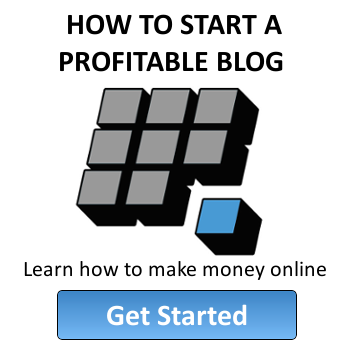 Everybody knows the fun logic of blogging about blogging to make money blogging. The “purests” will think this way of blogging is one big joke, especially since so many of these types exist. But let’s say you’ve been blogging for years, don’t you have the credibility to teach people about blogging? I think so. Whether you’ll find enough readers and make money is a different story. The real question is why do people care at all about what other people do? At least they have the guts to try. * They are so narcissistic. From income reports, to videos, to pictures of vacations, to blog status updates, it’s easy for a lot of people to get turned off by so much “look at me” self-promotion. Yet without self-promotion it’s hard for readers to get to know who you are or find credibility in your actions. Self-promotion is a skill that some can deftly display without making it seem too much like self-promotion. The problem is skills have to be honed before aggressively utilized. Deploy too soon and you might blow yourself up. If you find a blogger to be narcissistic, then read something else. Progress is hard. Success is even harder. But complaining and discrediting other blogger’s efforts is a terrible way to go about things, so don’t do that. Someone will always have it better than you. Instead of being envious, go to the best sites out there and figure out what they’re doing right! Nobody is perfect. Don’t beat yourself up if you feel like you’ve hit a wall. Here are some tips to deal with blogging burnout. Use real-time feedback in terms of traffic, comments, and income or lack thereof to see what you are doing right and what you are doing wrong. Analyze your recent topics and writing style. If you start going from an average of 10 comments a day to 1, perhaps it’s because your content is boring, too self-congratulatory, stale, not personal enough, too wordy, or not useful. Reconnect with other bloggers. It helps a lot to get support from fellow bloggers who “get it” and know how you feel. Drop comments on their blogs, send emails, and reach out over social media. Take seasonal slowdowns into consideration. That can impact income and traffic. It’s not your fault if everyone’s on summer vacation. Try not to let dips discourage you from writing all together and taking care of your blog. Tackle non-writing related tasks. If you’re suffering from writers block, do some research on SEO trends, clean up your site’s backend, tinker with some new plugins, etc. There are plenty of productive things you can do for your site when you need a break from writing. Go at your own pace. We all have different skillsets and speeds at getting things done. What one blogger can complete in 45 minutes might take me 3 hours and I’ve come to accept that. Don’t beat yourself up over stuff like this. Focus on what you can do and if you need help, it’s okay to ask or hire help. Prioritize 1 task a day. When you feel overwhelmed, shrink your to do list by prioritizing on just 1 task a day. If you can handle 3 things, even better. Anything is better than doing nothing at all. Focus on your long term end game. Give yourself enough time and you will be able to accomplish your goals. Accomplishing 2 things a week leads to 100+ accomplishments a year! By thinking long term, you focus on bigger issues and don’t worry as much about the minor set backs. There’s no use in feeling embarrassed about blogging burnout. I hope you can use the steps above to bounce back. Trust yourself that you can get over blogging burnout and keep on going. I’m making my way back at my own pace and I’m loving it! Start Your Own Profitable Website Today – Want to make more money and be more free? Work on building your brand by creating your own website the easy way with a WordPress site like mine through Bluehost for super cheap. You can register your domain for under $20/year and get hosting for only $3.49/month. Whatever your interests are, focus on building your skills and developing your own unique niche. I’ve been blogging since 2010 and it has allowed me to break free from the corporate grind to travel, work from home, consult for companies that I like, and do so many more things I’ve always wanted to do but couldn’t. The income is relatively passive as posts I’ve written years ago are still being found through Google and generating income. What’s better than making passive income and creating a valuable asset you can one day sell for a multiple of annual income? I’ve conquered my biggest fears by going off on my own thanks and it feels wonderful. Not a week goes by when I’m not thankful for starting this website! Untemplaters, have you suffered from blogging burnout? How did you handle it? What are some other times you suffered from burnout at work, hobbies, family responsibilities, misc commitments, etc? I’ve suffered from burnout with work for sure. Doing the same thing over and over again without getting any “thanks” or “good job” remarks from my boss gets old quick. What’s helped me is taking breaks for myself. Having time to unplug and get out of town for a long weekend helps a lot. I also started being more proactive with my boss. Instead of just sitting around wondering if he would notice how hard I’ve been working, I check in with him once a week or two and show him. It’s really improved our relationship and helped him recognize my contributions. We have to help ourselves get over burnout by shaking things up once in a while and figuring out ways to do things better. Great job getting back into the swing of things with work! I can only imagine how tough it must be juggling a 1 year old. Happy belated Mother’s Day. You’re doing great! Blogging burnout is real. It’s hard to keep on going when you just want to relax, especially if you aren’t seeing the dollars roll in. But I always tell folks that if they can write consistently for 1 year, GOOD things will start happening. So stick with it folks! If you can speak forever, you can write forever. Another great post Sydney. Why didn’t I come across your website earlier. Great content. I randomly read one blog of yours, and here I am reading my 6th blog in a go. Blogging burnout. I have also experienced it. I am a young and new blogger, but still I am starting to feel it a little bit. On point content Sydney. I’ve slowly started to become a fan of your writing. I find that blogging is more effortless (it is never completely effortless) when I am in a ‘groove’ and have a bit of a rhythm in place. It helps me know what to do, when. I set aside different times of the day for different activities. For example – for me mornings is for writing, afternoons is for editing and scheduling posts and evenings is for admin and social media. In the early days, I would do the same but not on a daily basis because I was working part time jobs and studying. I would set aside days for different activities instead. Monday mornings would be writing time and I’d try to write a few posts to use during the week, most nights I would moderate comments and read other blogs. I found one key to avoid blogger burnout is to avoid focusing on one tight niche.